Getting started building a robot without knowing anything about robotics can be intimidating. 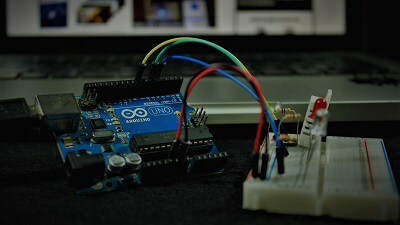 But the Arduino makes this task easier and beginner friendly. 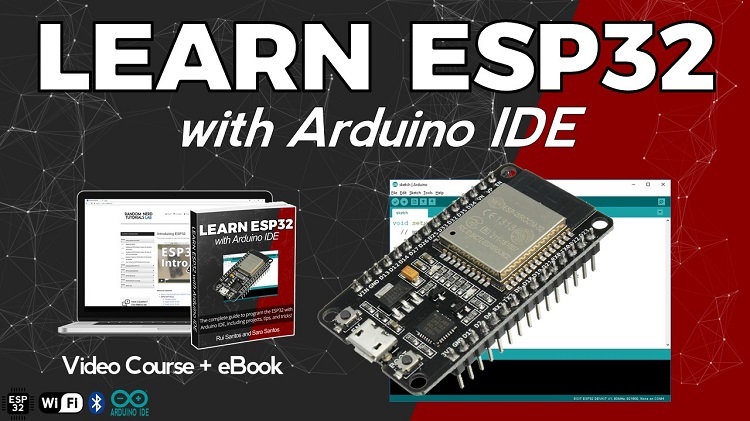 A great way to get started is getting an Arduino robot kit. 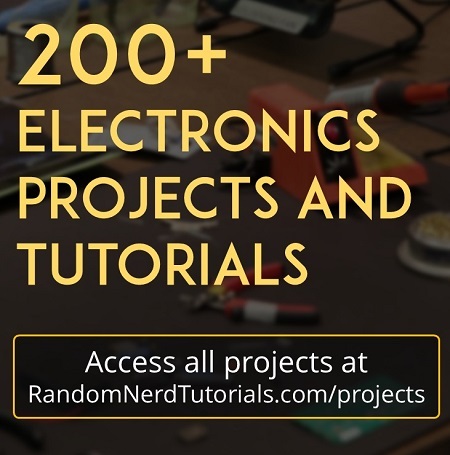 In this post we show you some of the best Arduino Robot Kits. 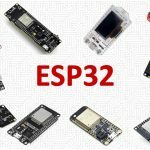 There are a wide variety of kits, some just come with the chassis and motors and others come with a wide variety of sensors, as well as the Arduino board itself. 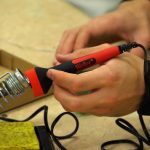 If you’re looking for an Arduino Starter Kit, we recommend reading the Best Arduino Starter Kits article instead. 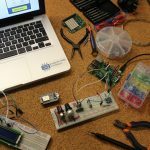 In this post we’ve gathered 7 different Arduino robot kits that will delight both kids and grown-ups. This is a 4-wheel chassis that uses a steering gear to control car steering. It uses the rear-wheel drive plus the front steering mechanism to make the car go forward, backward and turn right and left. This kit comes with a DC motor, which is what makes the wheels turn, and a servo motor to control the direction of the car. 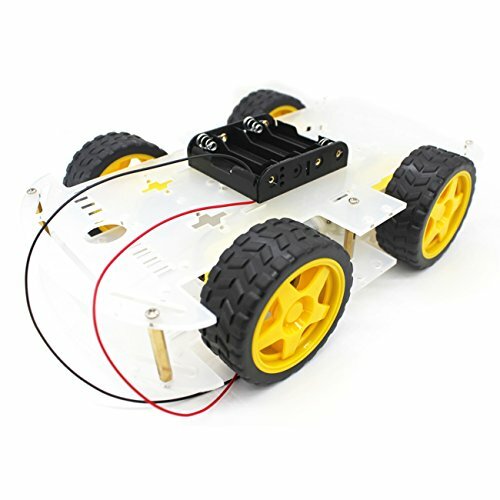 This kit is a 4 in 1 smart robotic car with the Arduino. 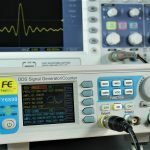 It comes with an ultrasonic sensor so it is capable of avoiding obstacles, and line tracking sensor modules so it is able to follow a path. 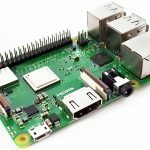 The kit comes with everything you need to build a robot with these features including the Arduino Uno board (clone) itself. This tank chassis comes with two DC motors. The chassis has a compartment at the bottom to place the batteries and a DC charging port. 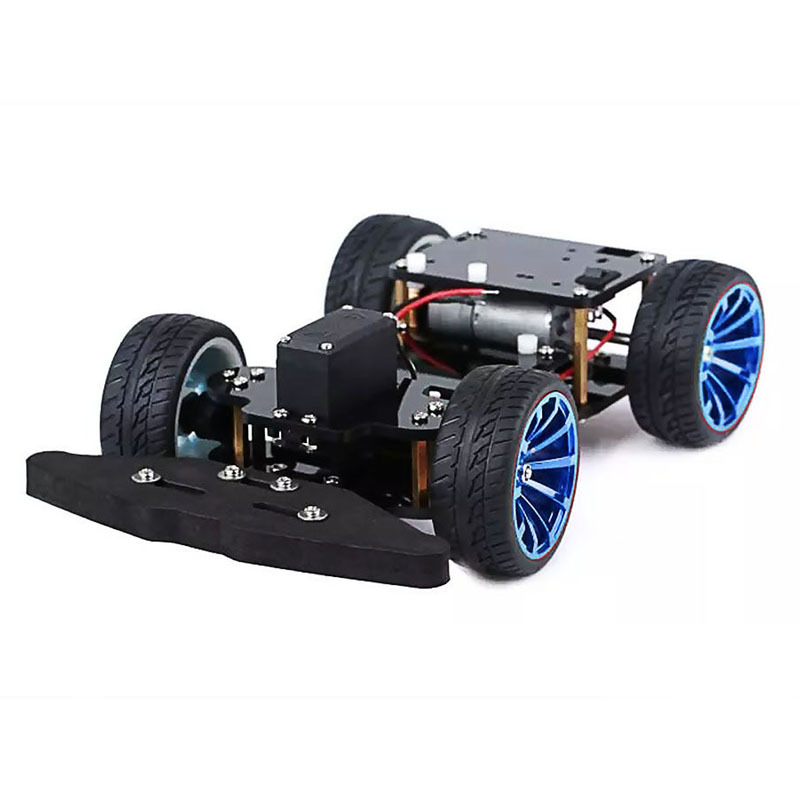 The chassis has a good damping effect, so it can run outside even in rough terrain. With this kit you’ll build a spider robot. It comes with a set of six legs with 4 DOF (degrees of freedom) in alum alloy. The kit just comes with the frame, bolts and screws. The motors and the Arduino are not included. 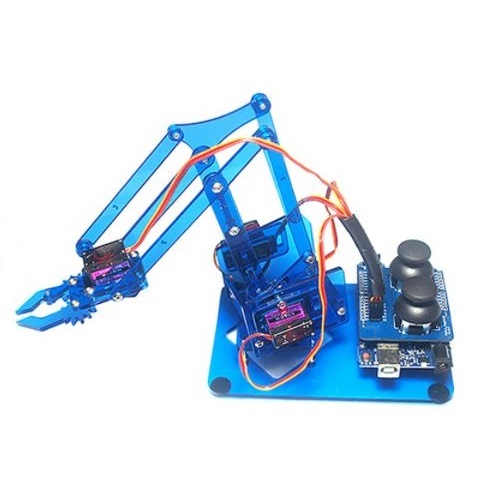 This kit comes with everything you need to build a robot arm with 4 axis controlled with joysticks, including the servo motors and the joystick button controller. 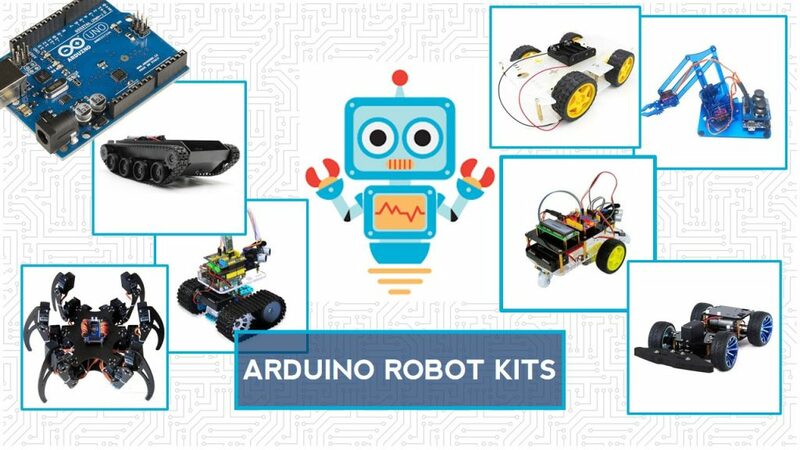 This robot kit comes with all the parts you need to build a smart robot tank with the Arduino. It comes with all the pieces to build the chassis, and all the electronics components to build the circuits. 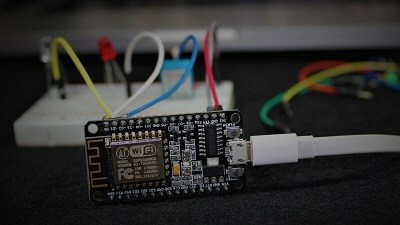 The Arduino board is also included in the kit. 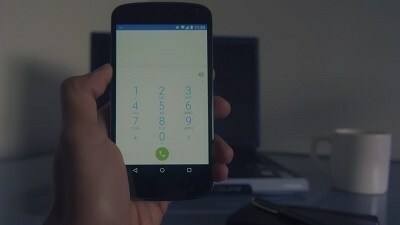 This robot can avoid obstacles and be controlled via Bluetooth. This is the classic robot car chassis kit. This comes with 4 wheels and corresponding DC motors, as well as a battery holder to place the batteries to power up the motors. 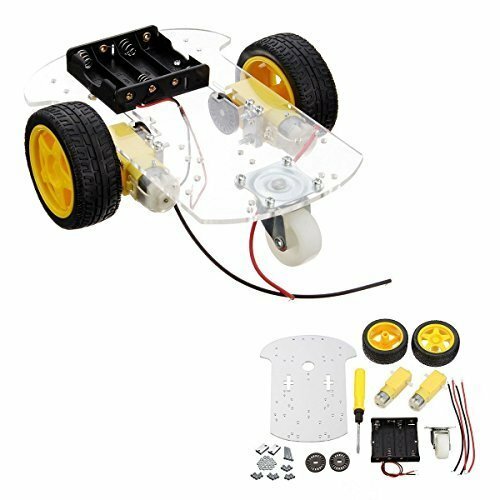 If you want yo build your own robot car with the Arduino, and you just need a sturdy frame to place your circuit and components, this is the perfect kit. If you want a simpler chassis, you can get a similar kit with just two DC motors.